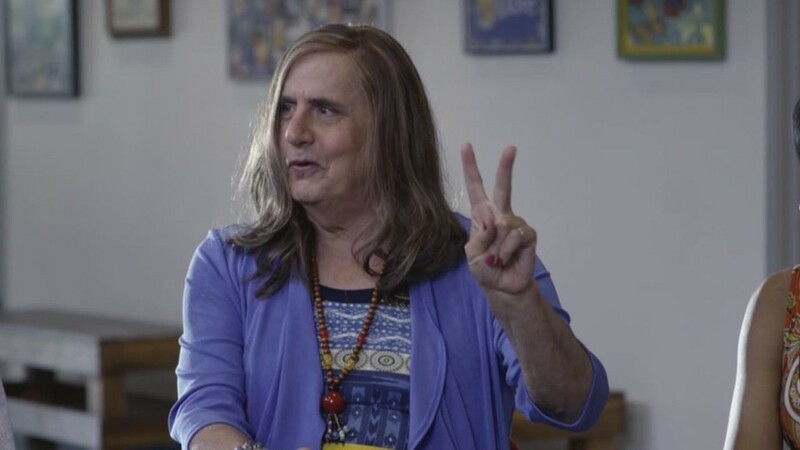 Jeffrey Tambor plays a transgender woman in Amazon's "Transparent," now nominated for 11 Emmy awards. It's not just Netflix anymore. Amazon and, to a much lesser extent, Yahoo are now rivaling traditional television networks in the Emmy awards race. In its first year of competition, the Amazon Prime Instant Video service picked up 12 nominations on Thursday, mostly for "Transparent," the breakout series about a transgender woman and her family. "Transparent" star Jeffrey Tambor was nominated as lead actor in a comedy, and the series was nominated in the best comedy series category. Both Tambor and the show as a whole won Golden Globe awards earlier this year. In a recent interview with The Hollywood Reporter, Amazon (AMZN) CEO Jeff Bezos said awards certainly aren't the only thing that matters, but "it's very good validation of the quality of the work that the team is doing." Another new streaming series is also in contention for the best comedy Emmy: Netflix (NFLX)'s "Unbreakable Kimmy Schmidt." Last year Netflix's "Orange Is the New Black" competed in that category, but this year "Orange" has been moved over to the best drama category, where it'll compete with "House of Cards," last year's winner "Mad Men," and several other cable series like "Better Call Saul" and "Homeland." Netflix picked up a total of 34 nominations, up from 14 in 2013 and 31 in 2014. And the nods were for at least 10 different programs, showing the breadth of the streaming service's original programming. Its new comedy "Grace and Frankie" picked up a nomination in the lead actress category for Lily Tomlin. And its new drama "Bloodline" was recognized through a nomination in the lead actor category for Kyle Chandler and a supporting actor nod for Ben Mendelsohn. Kevin Spacey and Robin Wright were each nominated again for "House of Cards," and Ricky Gervais was nominated again for "Derek." Along with 11 nominations for "Transparent," Amazon's under-the-radar crime drama "Bosch" picked up one nomination for main title design. And Yahoo's season of the cancelled NBC sitcom "Community" also picked up one nomination, in the outstanding stunt coordination category. Netflix and Amazon's rival Hulu did not receive any nominations.